My love for you is like a change it is constant in increment whenever I see your beautiful face. I fall in love with you because you are special. 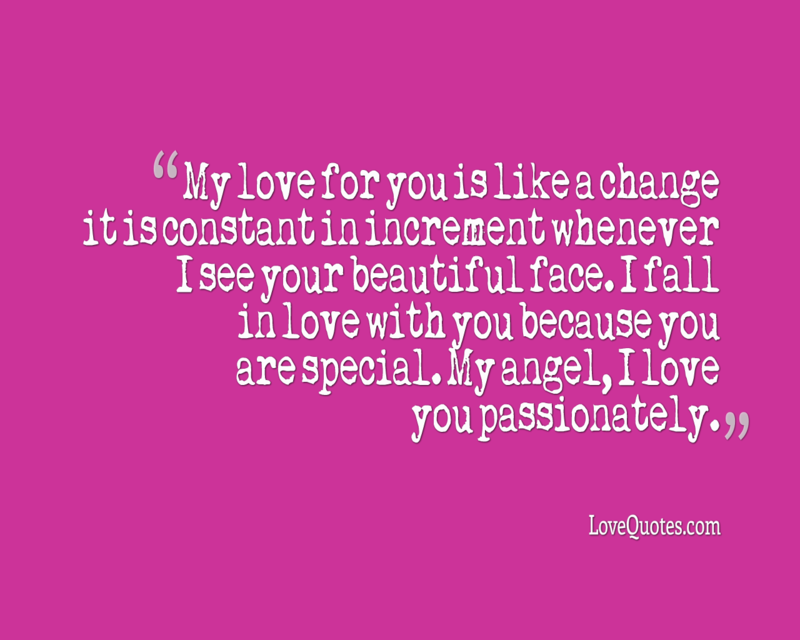 My angel, I love you passionately.